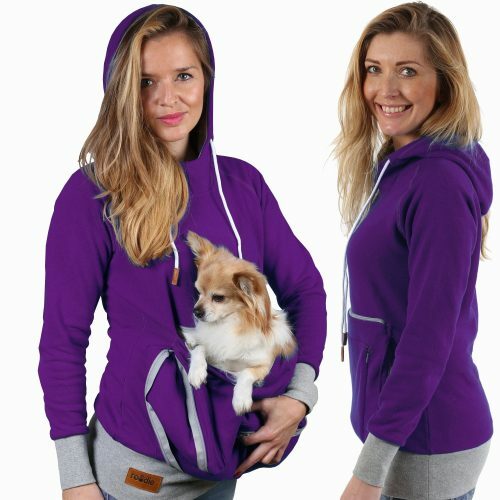 Roodie is the perfect pet pouch hoodie / sweater for every small animal lover. 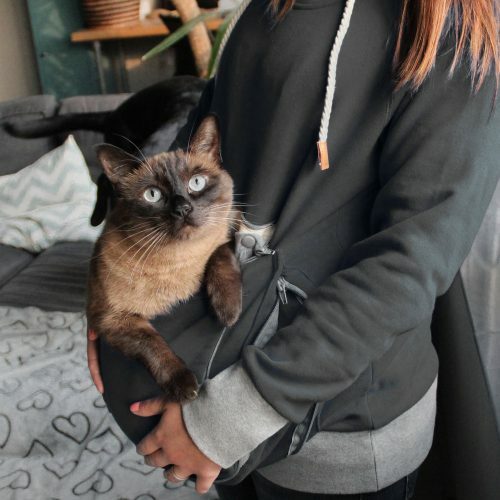 This premium pet pouch hoodie sweatshirt is made of highest quality cotton and polyester mix, making it super comfy & stylish… for both your and your pet! You can wear Roodie for some cuddles when lounging with your small dog or cat, or wear go out for a walk with your pet snuggling inside the pet pouch! Women like to look their best at all times. 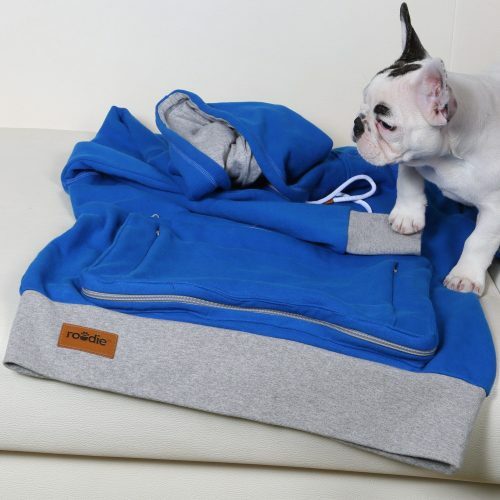 We took special attention in our design efforts to ensure that when wearing the Roodie pet carrier hoodie zipped up with no pet inside, you will still look very stylish and put together without your small dog or cat enjoying the ride.